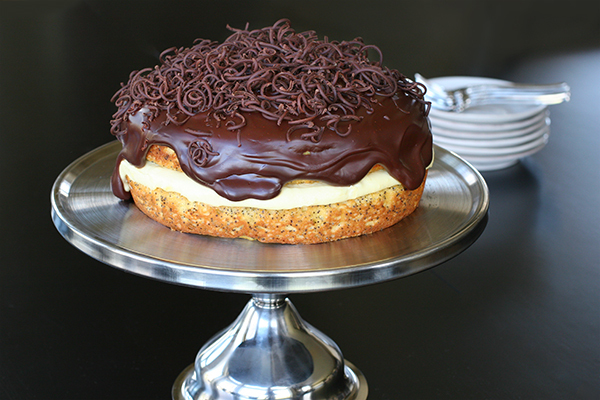 You’ve just been assigned “dessert” for a dinner party. 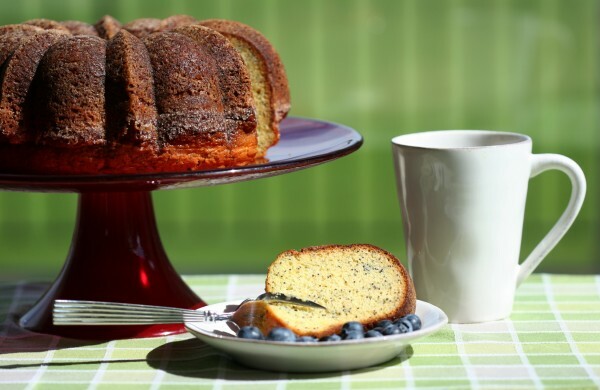 Or, in a weak moment, you signed up to bring something sweet to your office pot-luck. If the thought fills you with dread, fear not! Resist the urge to stop by Costco and get a pie-on-steroids, or those ubiquitous brownie bites. 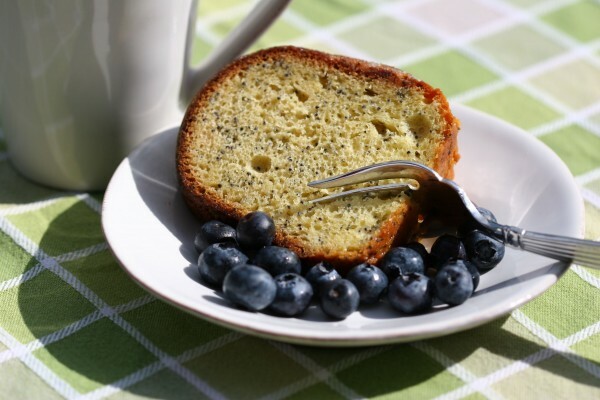 Instead, make this super easy, delicious Poppy Seed Cake. And when people rave, wipe the faux sweat off your brow, let out a heavy sigh, and tell them it was truly a labor of love. 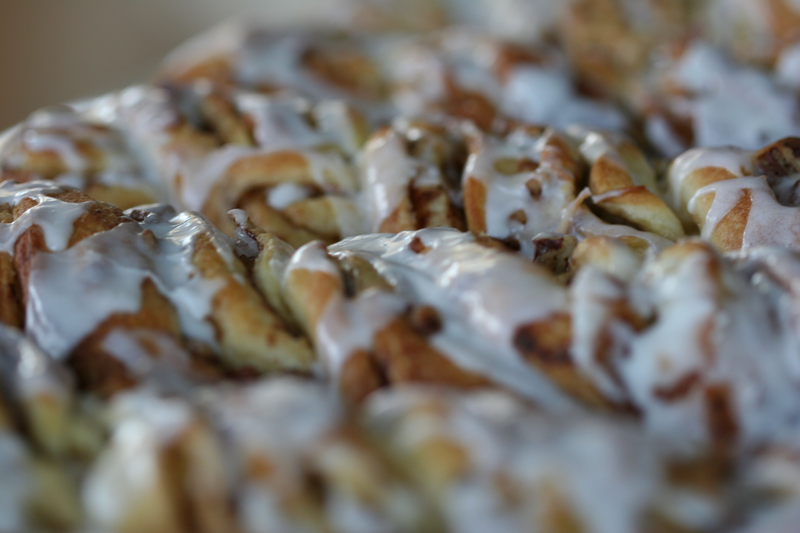 They won’t ask for the recipe, and your secret will be safe. You could add a glaze to this, though it doesn’t need it. I’ll often serve it with a side of fresh berries. Combine cake ingredients and beat for 5 minutes. 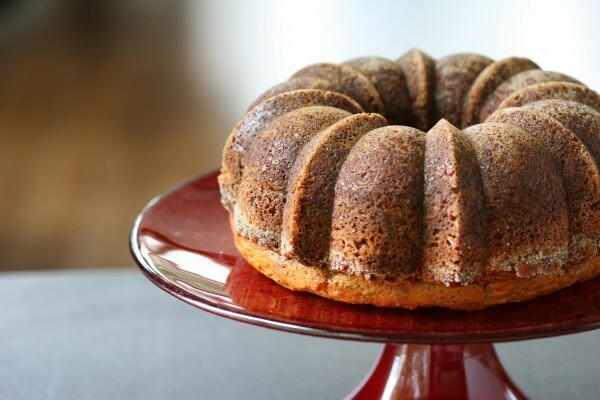 Pour into in bundt pan which has been oiled and coated with a mixture of ½ c. sugar and 1 teaspoon cinnamon. Bake at 350 for about 45 minutes. 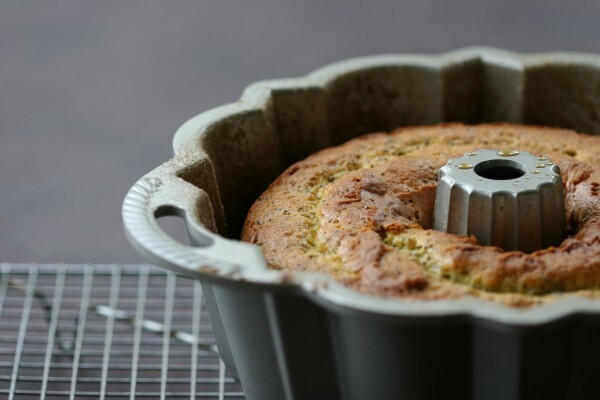 Cool for 10 minutes in pan, then turn out on a rack to cool completely. 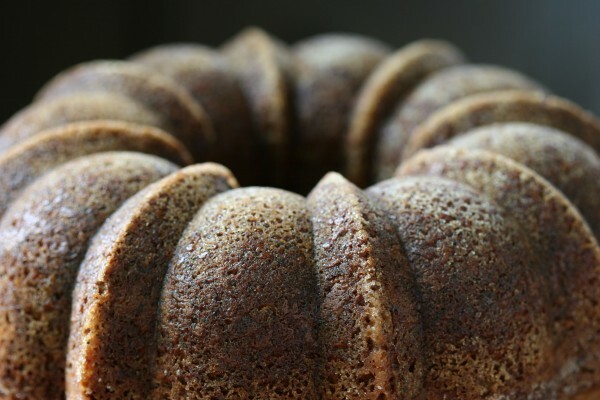 I highly recommend the Nordic Ware Pro Form Anniversary Bundt Pan – I used it for the first time with this cake, and as you can see, it turned out perfectly! I am nto sure I understand. Why not buy a “steroid” pie from Costco yet use pre-packaged mixed full of all kinds of not-good-for-you stuff? I was expecting a actual recipe not of the store-bought kind. WHISKEY CAKE WHICH IS YUMMY. I too am making and taking this to a 4th of July gathering. I’ll let you know the feedback I get from my friends! I’ll be trying this!!!!!!! Yum!